I’d like to think that my kids are pretty adventurous eaters. Well, sometimes. . and when bribed with ice cream, we can usually get them to try something new. I might try this tactic every now and then and especially when I’ve slaved away at something fabulous and I want my kids to try it. What I don’t have to worry about is Mexican food. My kids inherited my husband’s love for Mexican food. They crave and ask for tacos and beans and rice and now love snacking on tortilla chips and salsa. Like, all the time. My kids think Chipotle is fabulous. Well, I do love their burrito bowls. . . This dish was inspired by my craving for big buttermilk flaky biscuits and buying some Pillsbury Grands at the grocery store and wanting to mix up taco night just a little bit. My kids don’t like a lot of cheese (yes, they are really my kids) so I only added a little chipotle cheddar cheese towards the end of baking. I also slathered butter on my biscuits before and during baking to get the nice, golden brown tops. You can scoop up the taco meat with the biscuits or eat the biscuits separately and use taco shells (what we did for my kids). And they liked this!! They really liked it! Winning right here. Depending on how you arrange the biscuits in your casserole dish, you may have 2 extra biscuits. 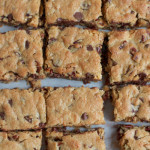 I baked these separately and ate them before dinner was on the table. Preheat your oven to 350 degrees. Using a large skillet over medium high heat, heat the olive oil. 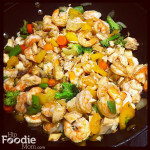 After a minute or two, add the diced onions and bell peppers and saute for about 3 to 4 minutes. Add the lean ground beef and cook until no longer pink. Add the taco seasoning mix, frozen corn and black beans and cook for another 3 to 4 minutes. 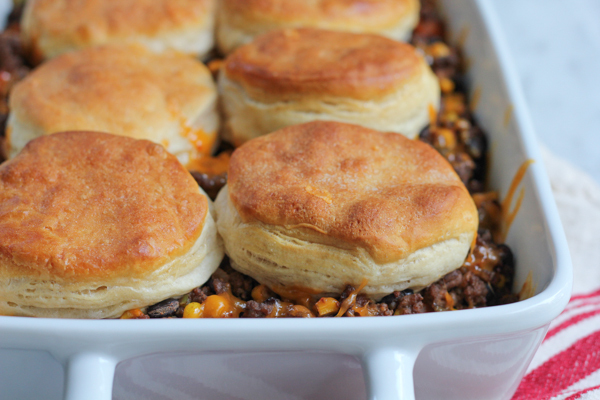 Immediately pour the hot ground beef mixture into your casserole dish and top with the biscuits. Brush the melted butter on top of each biscuit and bake for 20 minutes. After 20 minutes, remove from the oven and sprinkle on the cheese. Brush biscuits with more butter and bake for another 3 minutes. Let cool for a few minutes before serving. 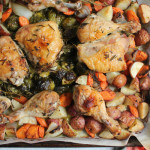 Excellent casserole ~ my family would love this for dinner! Alice, stuffing those gorgeous fluffy biscuits straight into a casserole–how awesome that must taste! Your kids are totally lucky..though personally I’m easy to please when there’s cheese and biscuits involved!! I know I can rely on the.boy to always love Mexican food also, so it makes a frequent appearance in our lives. 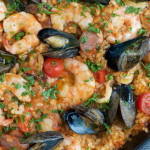 Love the sound of this casserole! So tasty. Love this casserole Alice! It would be gobbled up at our house in no time – Mexican food is a big winner around here too 🙂 Pinning! It looks amazing with those fluffy biscuits! YUM! What a great dinner. My kids would love it too! Mmmm…Tony and I would devour this in a heartbeat. We love cheesy delicious Mexican food. 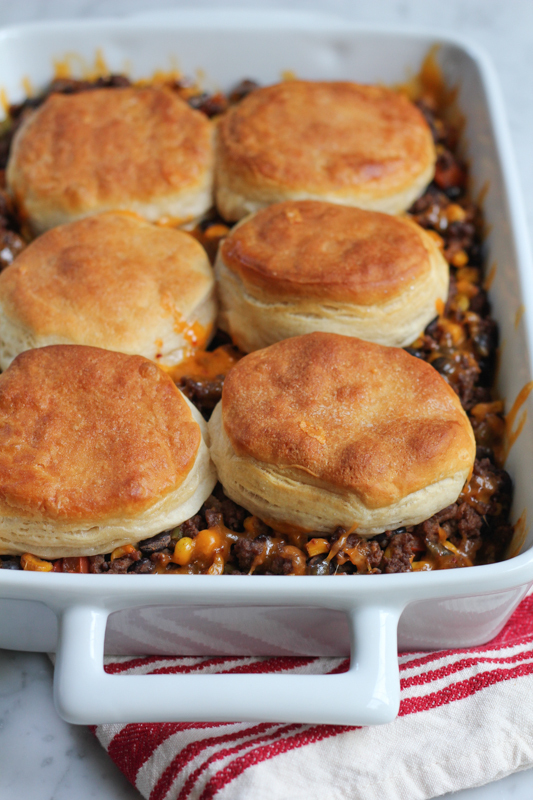 Brilliant idea topping your casserole with biscuits. I want to reach into my screen and grab one of those beauties! I absolutely love this idea Alice! 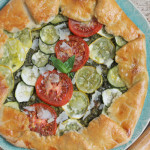 My guys would devour it in no time.. Looks divine! 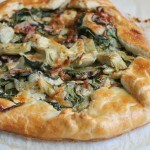 Mmmm this looks like the perfect comfort food for fall! I also love Mexican! This would be a total hit in my house. We are all mexican food addicts. Who doesn’t think Chipotle is fabulous?! I love Mexican anytime and I especially love when I can make delicious Mexican meals at home. 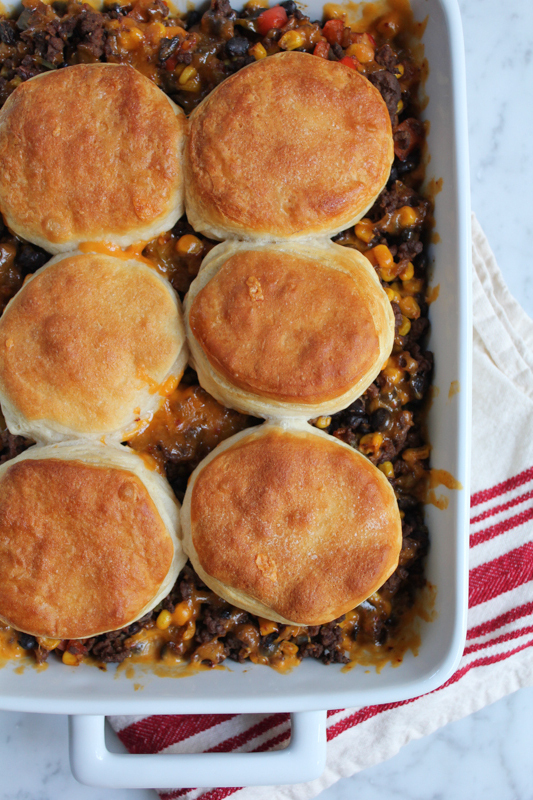 I love the biscuits on this casserole and I’m sure this tastes amazing! What an awesome idea Alice! 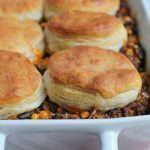 We are big Mexican food eaters here in CA and I love the addition of biscuits in this dish! Such a cool and unique idea Alice! I’m sure it’s super tasty! This looks like a perfect way to shake up Mexican-food night a little bit! 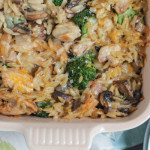 I love cozy, comforting casseroles like this around this time of year. 🙂 Pinned! 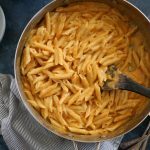 This casserole screams comfort food and I love it!! Can’t get enough comfort food type meals right now 🙂 Pinned! This casserole looks delicious! Love the the Mexican flavours! Are the biscuits placed upon the dish uncooked??? yes! and as long as the ground beef mixture is really hot, like straight from the pan into the casserole dish, the biscuits cook!! I also brushed on meted butter on the tops of the biscuits to make them nice and golden brown. 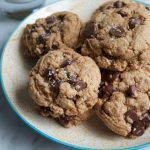 If you want, check the biscuits after baking and if needed, bake for a little longer. But they do get baked just fine! This is just the perfect dinner!! I love one dish casseroles and having a mexican twist on this is amazing. This dish looks fabulous, Alice! It would be gone in a flash here! Pinned!